← [Infographic] What Happens in an Internet Minute? Since its launch about a year ago, Google+ has amassed a user base of 170 million, which makes it the fastest growing social network. A major factor behind Google+’s growing popularity with businesses may be the integration of Google+ pages with the search engine’s results pages. Google+ can expose brands to the billions of people using Google as a search engine every day—something Facebook just can’t offer. Another unique factor contributing to Google’s growing popularity, is “Google Hangouts,” which are live streaming video chats that allow you to host more than 2 people within a single chat (which makes it revolutionary, and differentiates it from Skype). 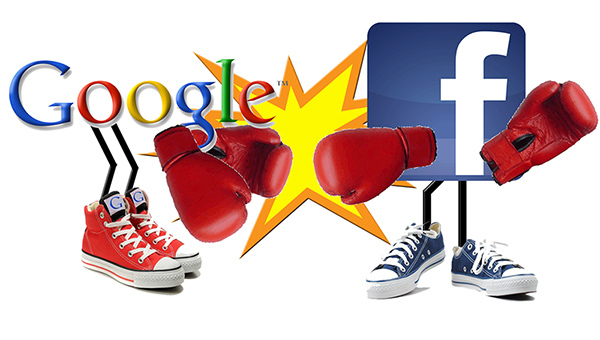 Can Google’s social media contender rival Facebook, which is on its way to hitting the 1 billion user mark? It’s a well-known fact in the social media marketing world that Facebook works better in B2C than in B2B. But now it looks like companies should start taking Google+ seriously, especially if they are in the B2B technology sector, according to this infographic created by the folks at Pardot, an ExactTarget company. Citing a comparative study of the two social networks conducted by MarketingProfs, Molly Hoffmeister concludes that they tend to attract a completely different crowd, with Google+ appealing to a more niche, tech-savvy audience, primarily male. Whereas, the average Facebook user is pretty evenly split between men and women focusing on personal interactions over brand content. Here’s a quick guide for the social savvy and newbie alike to get the gist on some of the key differences between Google+ and Facebook and how to formulate a marketing strategy for these two social giants. Google+ or Facebook? You decide which is best for your business. If you end up deciding to add a Google branded page, here’s some help to get started. And, for more help you can check out Google’s blog.